tags: Crown Prince anchovies, Crown Prince Seafood, Moroccan anchovies, Where do canned anchovies come from? These tiny silver fish rarely grow longer than four inches and just as rarely travel below a depth of 200 feet. Swimming in large groups, they live in the Mediterranean Sea and along the Atlantic coasts of Europe and Northern Africa. Anchovies feed on tiny organisms in the water, and in turn they’re eaten by a wide variety of predatory fishes—and humans, of course! If you’re a Crown Prince customer, the anchovies you’re eating are the European anchovy Engraulis encrasicolus, wild caught off the shores of Morocco and processed by hand. Flat Anchovies in Olive Oil (or Crown Prince Natural Fillets of Anchovies in Olive Oil): Cured with sea salt and hand-packed in pure olive oil, these Kosher-certified anchovy fillets are firm and flavorful. Rolled Anchovies with Capers in Olive Oil: Also prepared with sea salt and pure olive oil, these anchovies are rolled by hand around tiny capers before packing – a true Mediterranean treat. Anchovy Paste: After curing, some of our anchovies are processed with olive oil into a well-balanced and tasty anchovy paste. Use it in savory butters, pizzas, sauces and salad dressings. 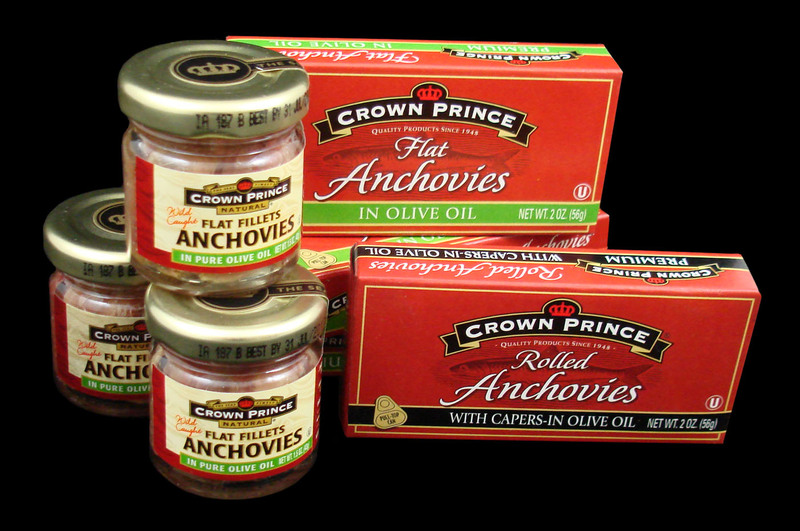 Did you know that anchovies are the only Crown Prince product to be cured rather than cooked? In fact, fresh-caught anchovies are bitter and not so tasty. Salt curing is the oldest form of food preservation we have, and it does much to improve the taste and texture of anchovies. Before curing, our anchovies are bled, beheaded and washed with water and salt. They’re then layered with sea salt in large barrels, where they’re cured slowly over a period of months until they’re just right. 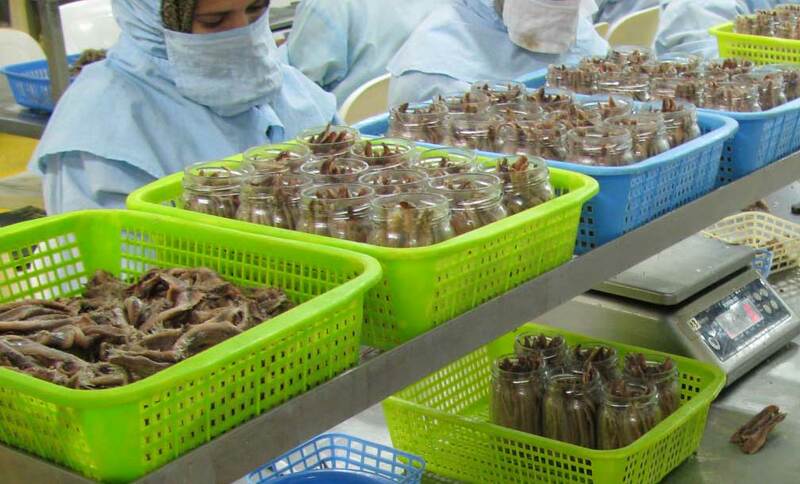 The anchovies are hand-trimmed and washed again before going through a drying process using a centrifuge. Once they’ve bid adieu to excess moisture, our anchovies are separated by size to be skinned, de-boned and de-finned, if you will. They’re then packed in high-quality olive oil and sent on their merry way. There’s no wrong way to eat an anchovy, but we recommend pizzas, salads, appetizers and dressings for starters. Check out our very own Crown Prince anchovy recipes. ← Meet the Moroccan Sardine! The website taste is great, the articles is truly great : D.